The Concentrated Glass Cleaner by Meguiars removes smoke residues, sooth, contaminants, stains and insect dirt in an easy and consistent manner, providing a crystal clean surface. Incredibly effective and low-cost, this is a glass cleaner which may be used on automotive glass and not damage protection films. 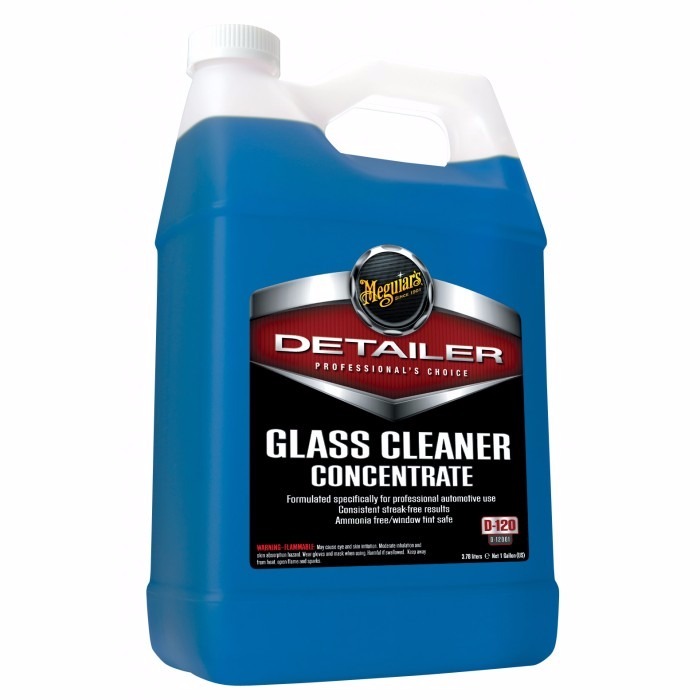 Add 10 liters water for each liter of Concentrated Glass Cleaner by Meguiars for 11 liters ready for use solution. Concentrated Glass Cleaner by Meguiars is applied as spray.